Today we left Minnesota. We wrapped up the final details at the house, said goodbye to the neighbors and hit the road. 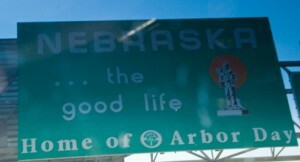 The goal today was Lincoln, Nebraska. We made it. I could end there; really. It was pretty uneventful, which is not a bad thing when starting off on a 1900 mile road trip. We got good gas mileage, made good time and no one yelled at each other. So far, so good. A few observations: Iowa was a lot more scenic than I expected. I was prepared for vast expanses of corn fields stretching to the horizon. In fact, it was rather hilly, and there were quite a few trees. It wasn't bad at all. And (other states take notes...) Iowa is one of the very few states I've ever been in where they have free wi-fi at the state rest stops. Seriously people, Iowa! I pictured corn in Iowa. Instead, we saw a lot of these. Not a bad thing, mind you.As is common in most states I've driven through over the last few years, road construction zones are in vogue, though there is precious little actual construction taking place. Oh sure, you might see a backhoe moving dirt around once in a while, but that's about it. Our tax dollars at rest I presume. Otherwise, driving out west is far nicer than driving east. Traffic is much lighter and it's generally easier to make time. Oh, and the speed limits are higher here too. Gotta love 75! Tomorrow we'll be in Denver if all goes as planned. Should get some better pictures after that. 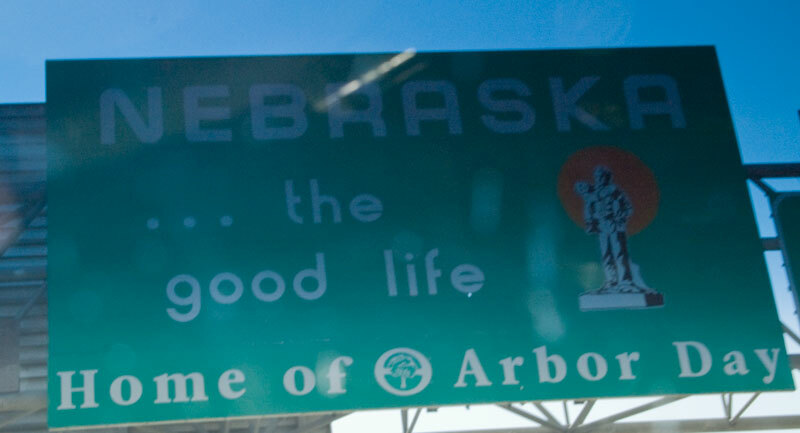 I'm not expecting much from Nebraska based on what I've seen thus far (but you never know...). So far God has made this a pretty easy process, which seems to confirm our choice to head this way. It would sure be great if that continues! Thanks for praying for us! ...the good life, huh? I'm naturally skeptical of all slogans that start with ellipsis...For the geeks among us, I will try to remember to post the daily driving stats, provided courtesy of our Garmin 320 GPS. Driving Time: 6 Hours, 7 Minutes.